We can hardly wait for Friday. Chuck is back Fridays on NBC, and this will be Chuck’s final season. Last season left us with Chuck saving the day and saving Sarah’s life WITHOUT the intersect, but managing to sever all possible working ties with the CIA. So with their financial gift from Hartley, they decide to start a freelance investigation company and to buy the Buy More. In the final moments of the finale we see the major twist that will cause us much comedic glee this season. Morgan is now the bearer of the intersect. How could this possibly go wrong? And how will this new twist sit with our Chuck? Chuck airs Friday October 27th at 8/7 Central on NBC. 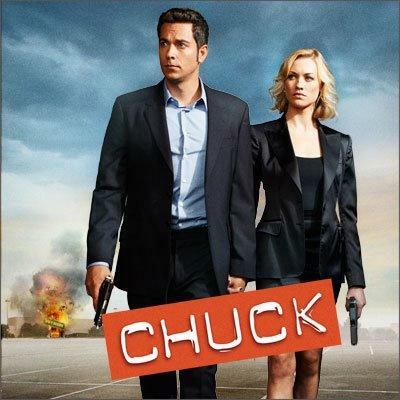 Posted on October 28, 2011, in TV and tagged Chuck, NBC, Preview. Bookmark the permalink. Leave a comment.